The hip roof has been around for a while, but it’s become a hot trend with young homeowners who like both the look and the practicality. Hip roofs feature sloping sides that flow down to the eaves without any vertical elements or flat sides. These are strong, practical roofs that look great on cottage style and ranch houses. Hip roofing can withstand very high winds and can reduce structural damage to your house if you live in an area with lots of storms. Water drains off of a hip roof quickly, but you may have to watch for leaks. They are also prone to leaks but working with reputable roofing contractors can minimize this. A gable roof is one with two roof panels sloping away from a center ridge line and two triangular ends. These are economical because they’re easy to install while offering a lot of design options. Gable roofs give roofing contractors the opportunity to add vaulted interior ceilings and adjust the pitch of the roof to improve water runoff. These are highly weather resistant and are great if you live in an area with a lot of rain, snow and ice. A new gable roof with a different pitch can transform the look of your home at minimal cost. After your beautiful, new roof is installed, consider adding a protective coating that will reflect UV rays and reduce heat absorption. This will reduce heating and cooling costs while protecting the shingles. 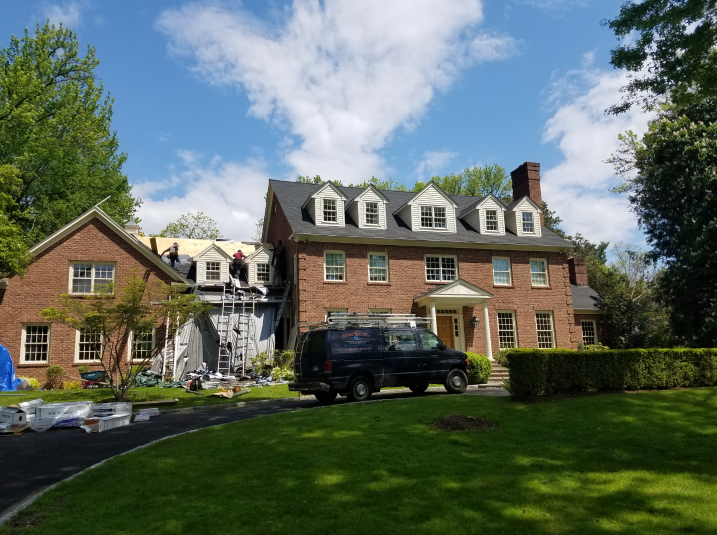 Ask roofing contractors in your area what type of coating will help your roof protect your home and enhance its comfort.